In California, the laws for Household employment differ from employment laws for other business. Even if you’ve been an employer or manager for years, you may be surprised at the additional education you’ll need now that you’re a household employer. In addition, it is critical to pay your household employment taxes correctly to minimize risk and maximize your tax savings. Although your household employer-employee relationship will be more familiar than most, you should not be too casual about your relationship. We are pleased to refer TWO law firms that specialize in Household Employment and Labor Law. Lisa advises clients on how to conduct a background check, ensure legal status of employees, establish benefits policies, comply with wage and hour laws, properly manage employment tax and insurance obligations, and provide notice relating to surveillance and drug screening. Lisa also prepares employee applications, Employment agreements/offer letters, Timecards, Confidentiality Agreements, Mutual Agreements to Arbitrate, Employee Handbooks, Counseling/Discipline Notices, Termination Letters, and Severance/Release Agreements. Employees face a wide variety of legal issues ranging from negotiating a new contract or a severance agreement, addressing hostile work environments, requesting part-time or flexible work arrangements, or understanding disability rights and benefits. Lisa enjoys working with clients to clearly explain all relevant legal issues, advise on rights and obligations and assist with properly drafting or completing any necessary documentation or correspondence. As a seasoned employment lawyer (and a working mom and former employee), Lisa understands the range of issues and can often anticipate many of the concerns that arise. Her goal is to alleviate her clients’ worries as much as possible and work collaboratively to achieve each client’s best outcome in a cost-effective way. You can find Lisa Weinberger at www.lawofficelpw.com. 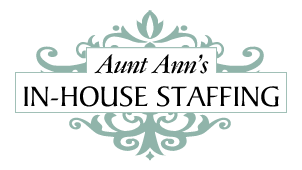 What Can Legally Nanny Do For You? taxes, maximize your tax savings and spend more time with your family. tailored to your household employment situation. Negotiating and drafting a severance agreement to conclude your employment relationship. Calculating and filing overdue household employment taxes. Resolving disputes between household employers and employees discreetly and effectively. Serving as an expert on household employment matters in arbitration or at trial. Providing a broad range of labor &amp; employment legal services for individuals, businesses and domestic employment agencies. with their legal and tax solutions. You can find Bob King Esq at www.Legallynanny.com.